Short promotional film made for KLM Royal Dutch Airlines in the 1970s. 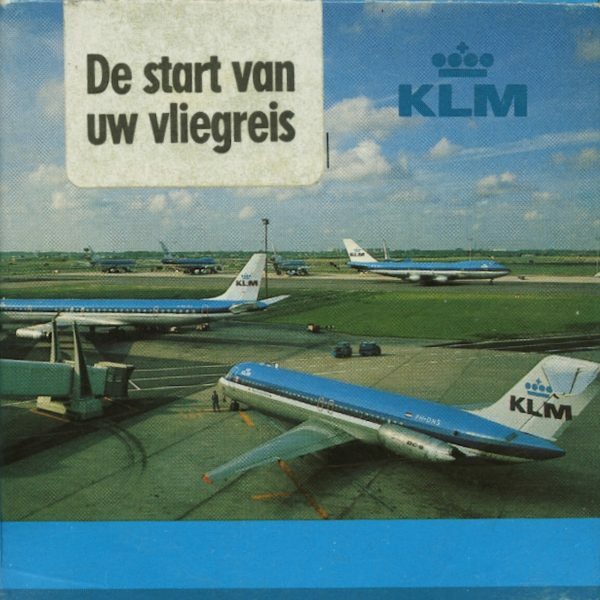 The Dutch title is De start van uw vliegreis, which means The Start of Your Flight. It’s a rare and fascinating little documentary on the various goings-on at Schiphol Airport, home base of KLM: checking in, tax free shopping, a ground stewardess giving information, pilots doing checks in the cockpit, a plane taking off and a plane landing by night. Sound is mostly atmospheric, so the soundtrack is not really in a specific language. There is almost no lipsync sound, and apart from the speaker in the departure hall, there is little or no Dutch to be heard. Please note: this film has to be played at 18 fps. Actual length is 12 meters (40′). In its original cardboard picture box. Released by KLM Royal Dutch Airlines.